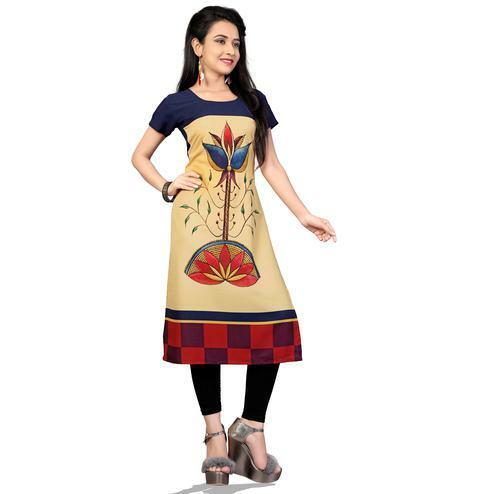 Peachmode has an exhaustive range of fashionable kurtis for women in vivid colors that are on point with the latest trends and styles. 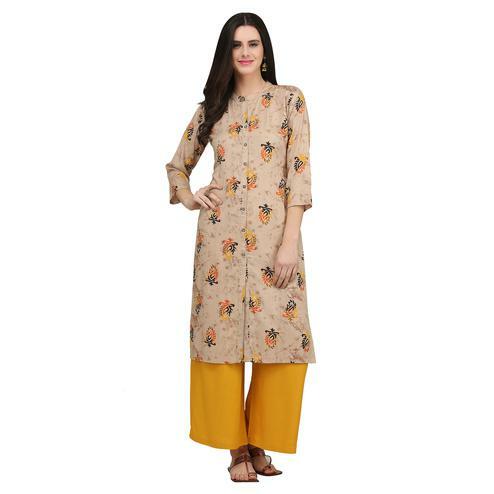 One such color that fits all seasons and styles perfectly is the color beige. Made from the color tints of brown and white, beige is considered to be a very soothing and relaxing color. 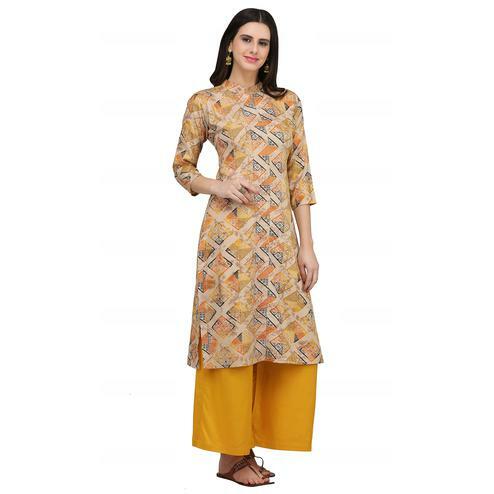 It has hints of the crisp feel that brown color offers and also the calming effect of the color white. This color is very somber and is the rightful choice for office or formal events and even for casual ones. 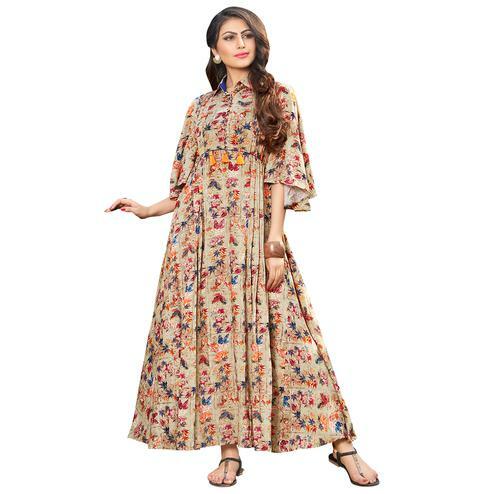 Peachmode has an array of choicest fabrics that go on to making the most attractive beige kurtis for ladies that we have. 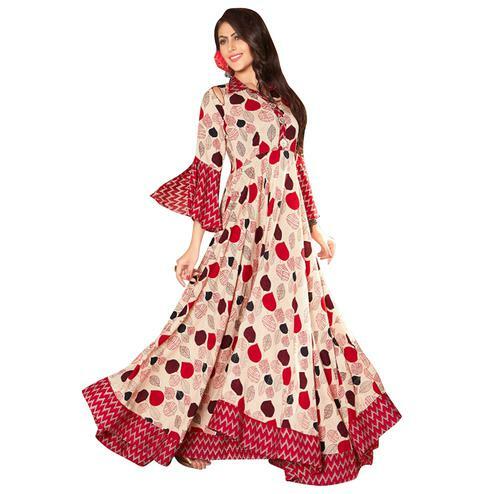 Crepe, cotton, American crepe, linen, Chanderi silk, Banarasi silk, rayon, khadi cotton, art silk, pure cotton, rayon cotton, Banglori silk, cotton slub, georgette, satin, satin silk, viscose, handloom are amongst the many fabrics that we pick for curating the best kurtis for you. 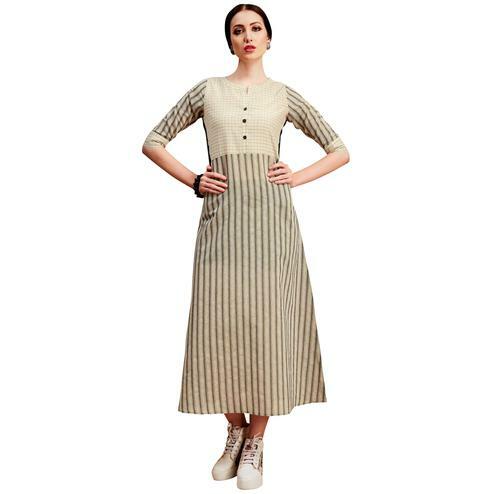 These beige color kurtis come in combination of various complementing colors. Our top finds are red, blue, purple, black, maroon, green, pink, olive green and wine combinations for you. 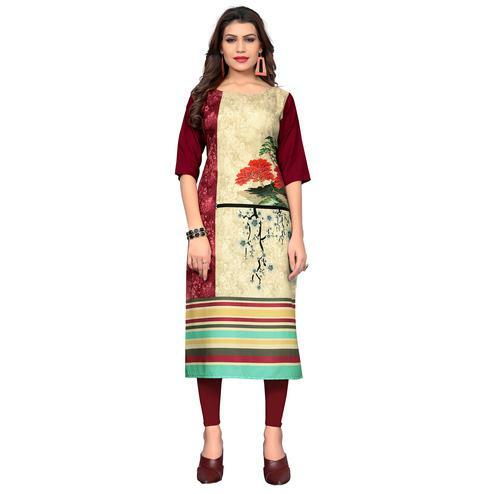 Our kurti designs consists of- floral prints, abstract prints, digital prints, beads embroidery, mirror embroidery, traditional print, hand embroidery, striped prints, floral embroidery, shibori prints are of the many beautiful prints that will simply enhance your look. 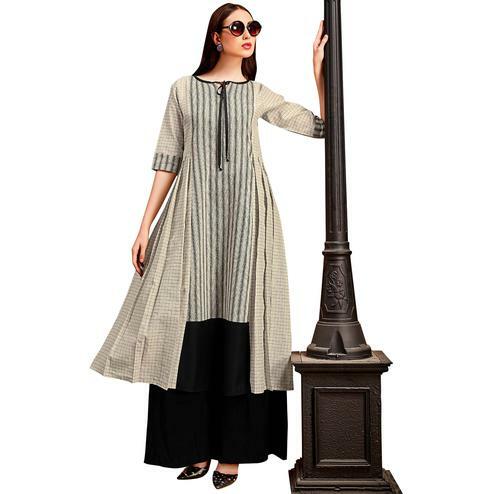 Our beige color cotton kurtis are extremely comfortable and totally wearable in the scorching summers. 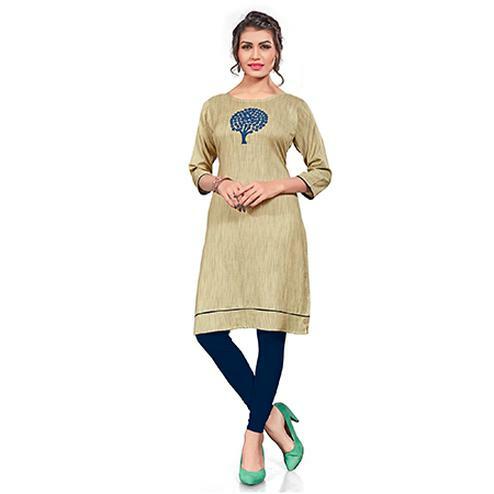 We offer stunning beige kurtis with embroidery that are high on our cultural brilliance. 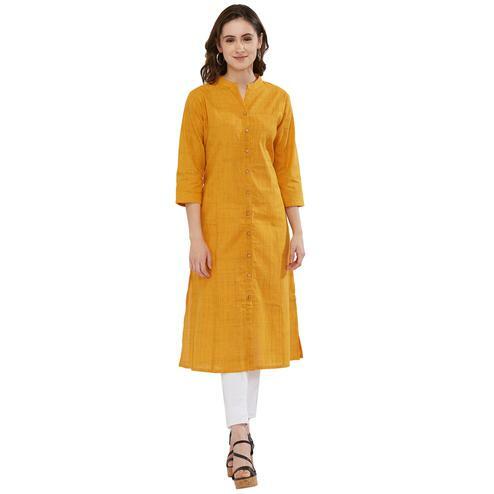 You can go for our beige silk kurtis for festivities and other occasions. So all you pretty women, we have got your shopping list sorted, you just need to pick your choice. Don’t forget to avail the amazing offers that we have in store for you, only on Peachmode.